You might wonder about the strange name of this font. In early 2014, I was a crew of a student zine in my college. And the widely known Lemon/Milk font was intentionally made for the zine with the same name produced by undergraduate students of English Study Program, Universitas Indonesia. As usual, I uploaded the font to Dafont. Fortunately, the feedbacks for Lemon/Milk are really good! and it triggered me so much to develop this font further. The first development was finished in late 2015. In that version, major European accents have been added. Some 'strange' characters such as J, D, and ampersand have been modified. Nonetheless, the biggest accomplishment of this version is that I had learned about how to set kerning on a font, and I had applied it to Lemon/Milk! As I post this, I have finished the newest version of Lemon/Milk for celebrating its 2.5 million downloads on Dafont. In this version, you will find fixed kerning issues, as well as modification of some characters. Moreover, this most favorite font now has a family! Check the demo below to know the differences. This rounded, sharp font will be perfect for any display since it is clean yet bold! Download it now and kindly give a good feedback if you like it. This font has ever been used for CJR the movie poster, opening bumper breaks of some Metro TV news programs in 2016, Stand Up Comedy Academy 2 Indosiar 2016, and is used for Trixin clothing & new Safari Malam logo. Fantastic design! Clean, simple and very elegant! Really nice font, only just getting into graphic design and I appreciate the work that went into this! I really love this font! I use it often for my personal work. It's clean, simple, and flexible (themes). Long live you and your loved ones. This is how legacy is built. Thanks brother. I am totally in love with this font. 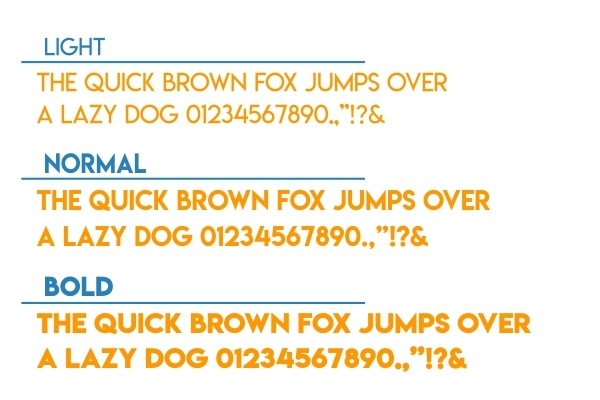 This is by far the best font that probably has ever been made! It looks so good with litteraly everything! 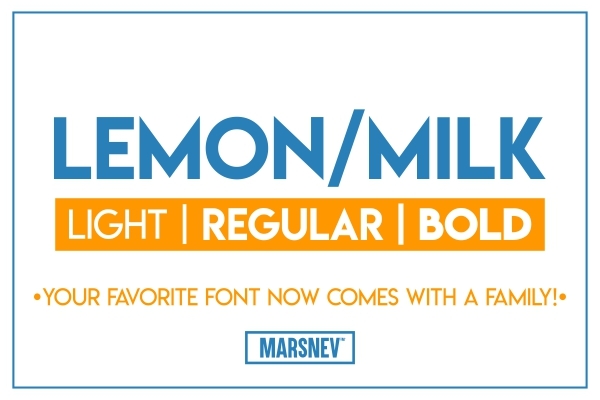 Even when I try other fonts at first I always go back to LEMON/MILK! This is my all time favorite font! LOVE THIS FONT! it is my go to font for all things bold and beautiful! thank you! hello. How to donate this font? Thanks for this beautiful font. I used it for my design on our card game "Unter Spannung" and made a donation. Hi, is this font free to use please? How expensive is the font when I use it commercially? I would like to use it for event flyer. Hey, incredible font, works for everything! thank you for creating this font - and i absolutely love the name!